Name Tags and Name Badges for Little Caesars. Products by Name-badges.com Inc.
Below are examples of logo name badges we’ve done for Little Caesars Pizza. 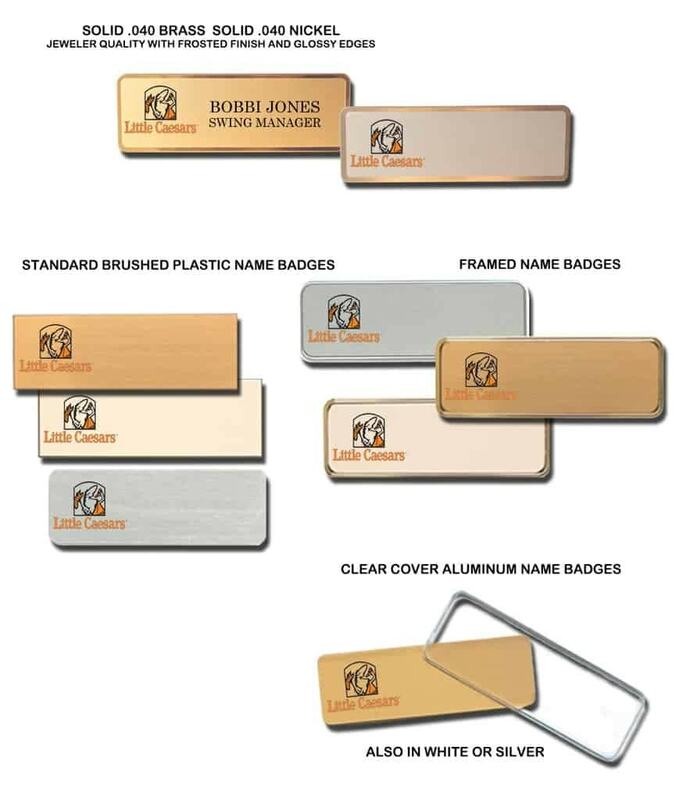 All name badges are custom, let us make the perfect badge for you.